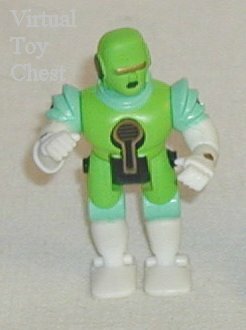 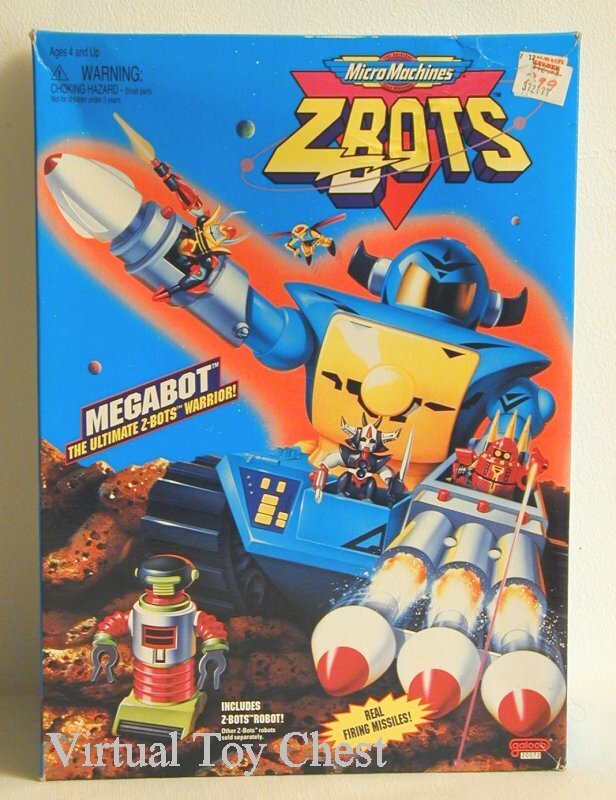 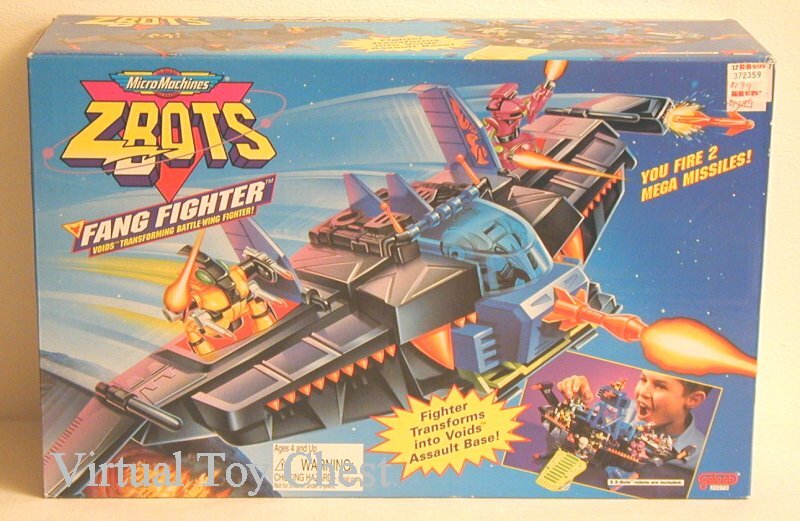 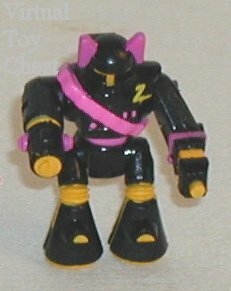 Z-Bots were created by Galoob in 1992. 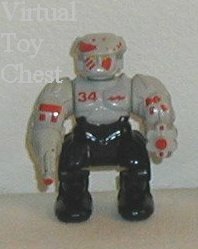 They are about the same size as M.U.S.C.L.E.s, but are posable and painted. 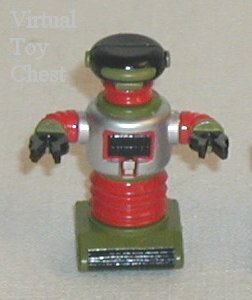 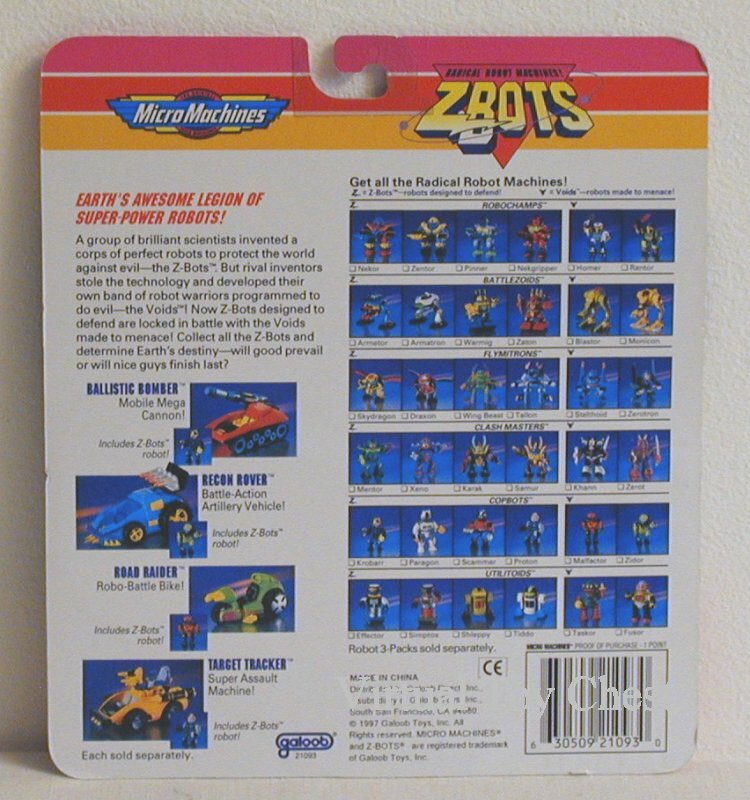 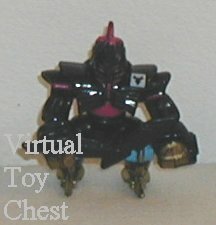 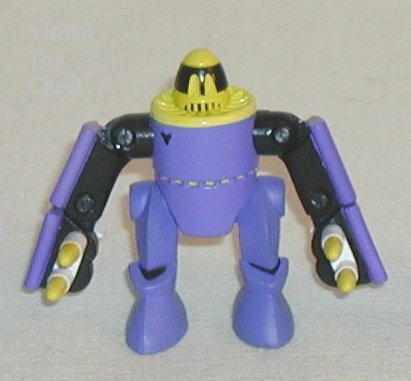 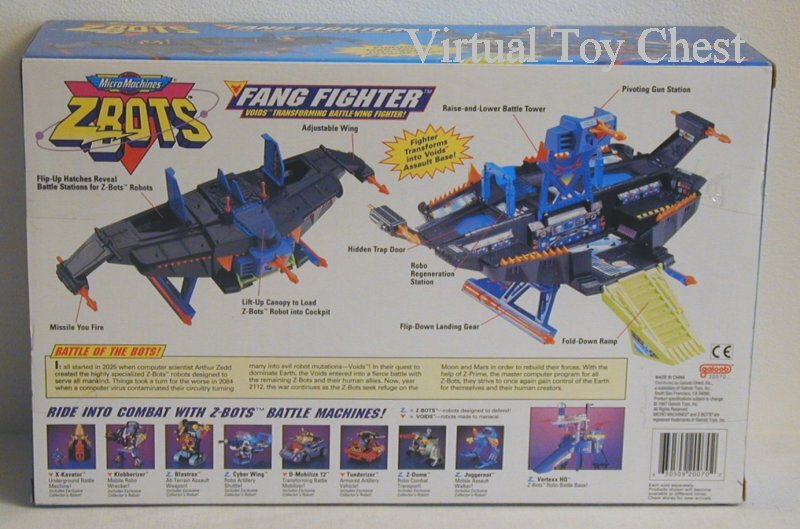 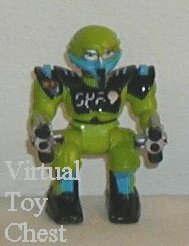 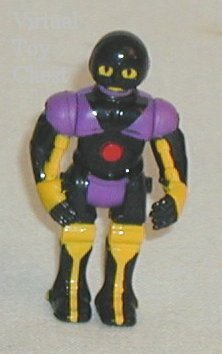 In addition to the different factions of Z-Bots such as the BattleZoids, there were Z-Bots with special features such as the Link Bots that combined into larger robots. 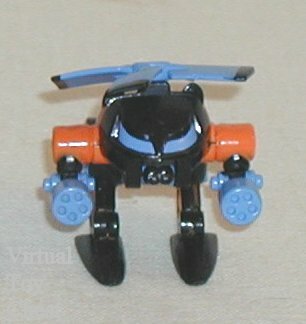 Vehicles of several sizes and bases were also created. 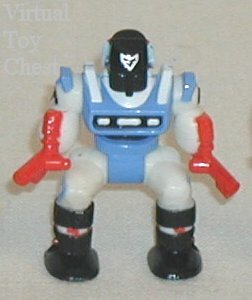 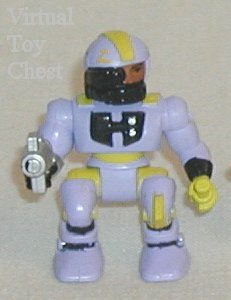 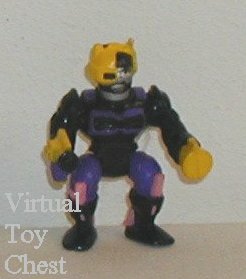 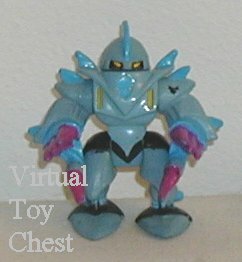 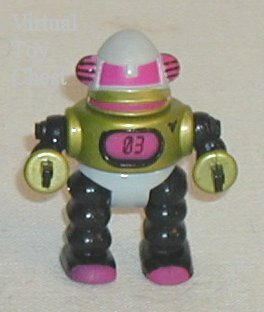 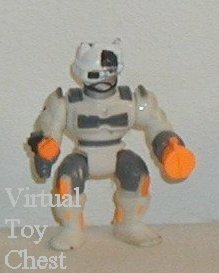 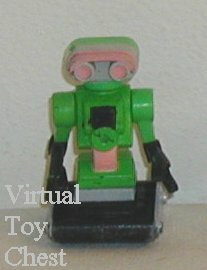 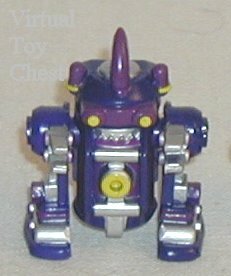 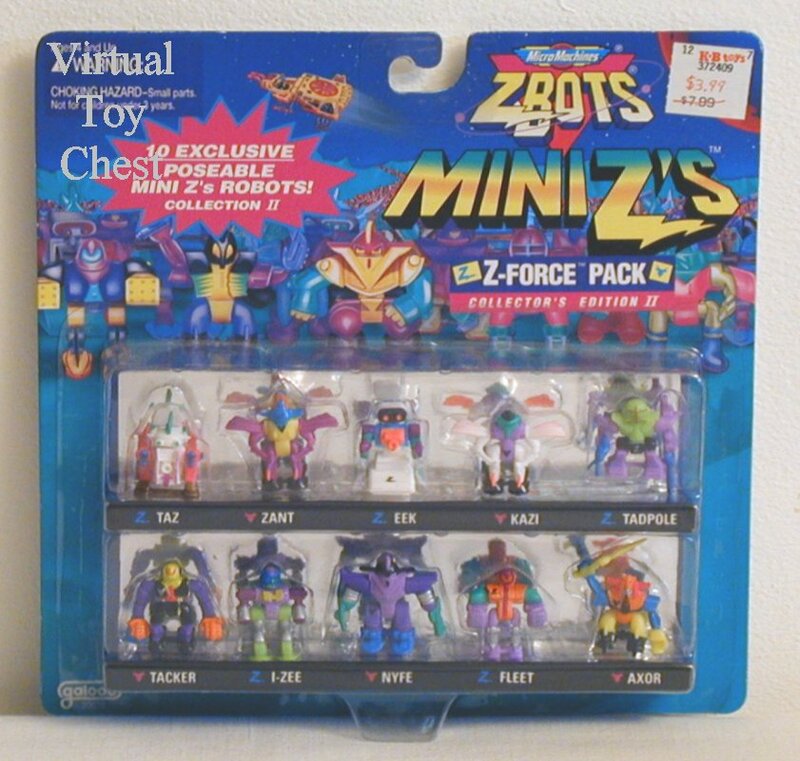 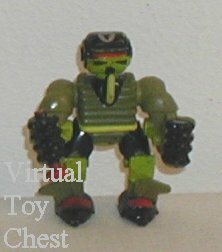 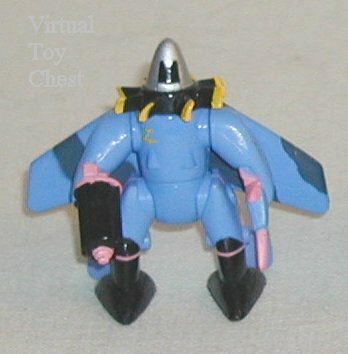 Before the series ended in the late 90s, mini Z-Bots were released. 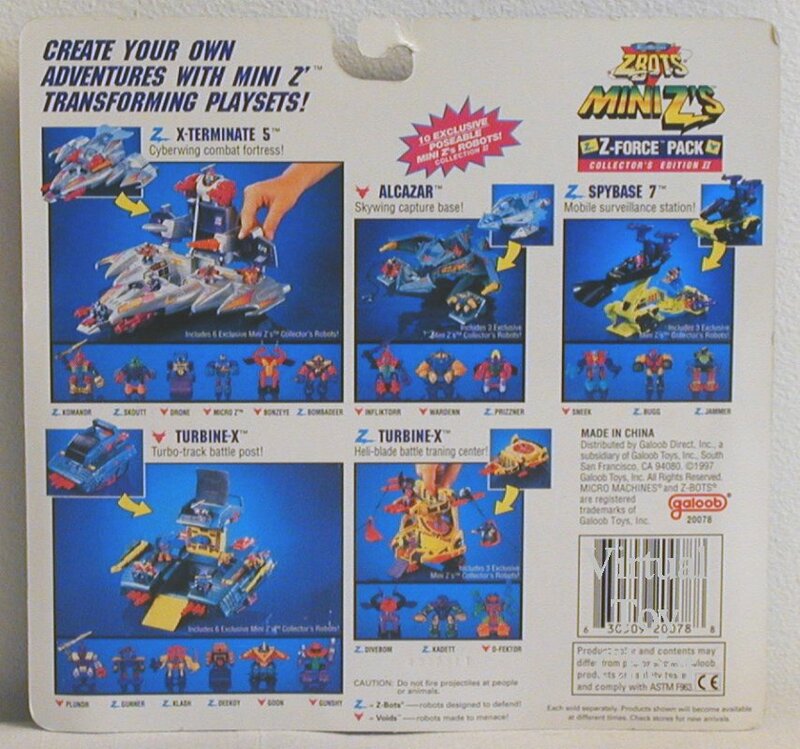 These were about the same size as Migthy Max figures. 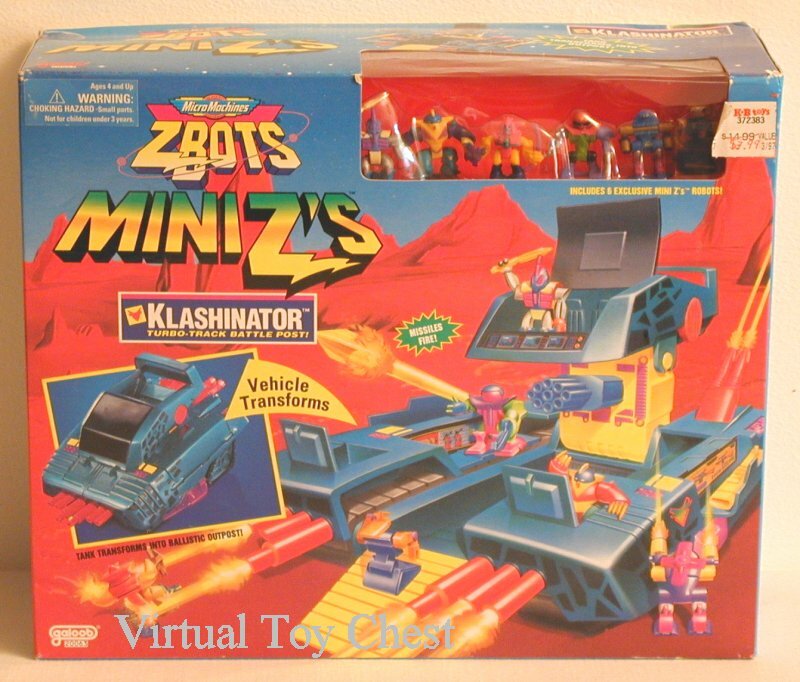 Micro vechiles and playsets were also produced.